GroupedU, an app that will launch at GW next week, aids students in finding classmates to meet up with for study sessions ahead of exams or quizzes. An alumnus is creating an app to help students find study partners. 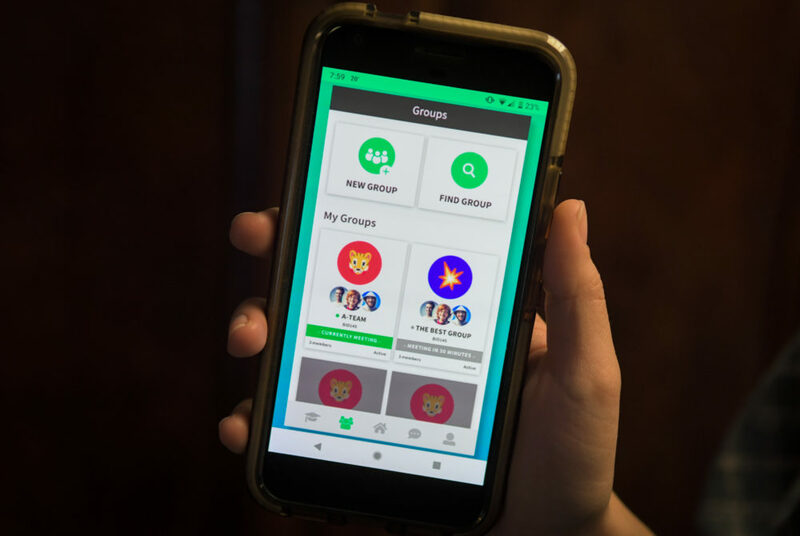 Alex Toltzis, who graduated in 2014 with a bachelor’s degree in sociology, started an app for iPhones and Androids that connects students with their classmates for studying called GroupedU. The app will launch at GW next week and aids students in finding classmates to meet up with for study sessions ahead of exams or quizzes. When users sign up for classes in the app and set their status to “online,” a green light will appear on their profile. The symbol shows that an individual is looking for study partners and other students can message them to form a study group. After coming up with the idea for GroupedU during his senior year, Toltzis said it took a “backseat” while he pursued his career in sports management. When Toltzis was at GW, he said he often struggled to find study partners in large lectures full of strangers, which inspired him to create GroupedU. The app, which Toltzis worked with a programming team to create, will go live next Monday, but only for GW students. Toltzis said he hopes to eventually expand its reach to other schools in the DMV area. Toltzis said he chose GW for this initial launch because of his familiarity with the University. Although GroupedU is an app, Toltzis said bringing people together beyond the screen is its central premise. Rather than facilitating online study groups, the app connects students so they can meet in person to review course material. Toltzis said he has not seen a similar app on the market because other programs don’t emphasize student interaction and instead focus on allowing professors to distribute information to students or posting information and study guides online to use individually. “There isn’t really a social studying app designed to connect students, a direct student-to-student communication tool specifically intended for studying purposes,” Toltzis said. Toltzis said he is interested to see whether students use it for last-minute cramming or planned study sessions for future exams.